The Versailles Chest of Drawer is beautifully crafted from solid wood in the USA. If you are looking for quality American made furniture then this is the perfect solid wood Chest of Drawer! The contoured wrap around molding is a beautiful look that will help to bring elegant style into your bedroom. 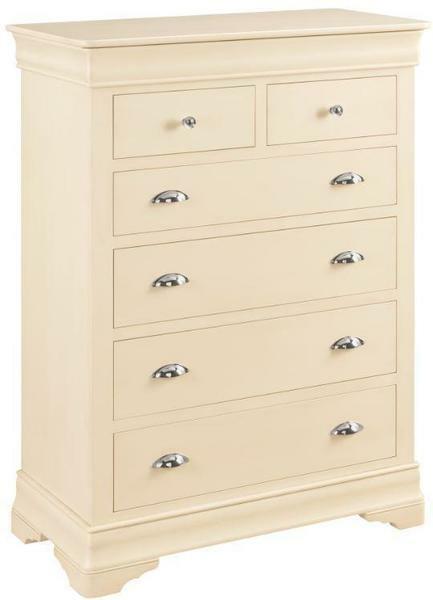 This solid wood chest of drawer comes with a lifetime warranty!